I think all it takes are accessories, hair, and makeup to achieve a more romantic look. My day outfits are really basic. I have only a few minutes that I can sneak into my room and grab clothes before the boys start screaming or something breaks because I'm not watching them. 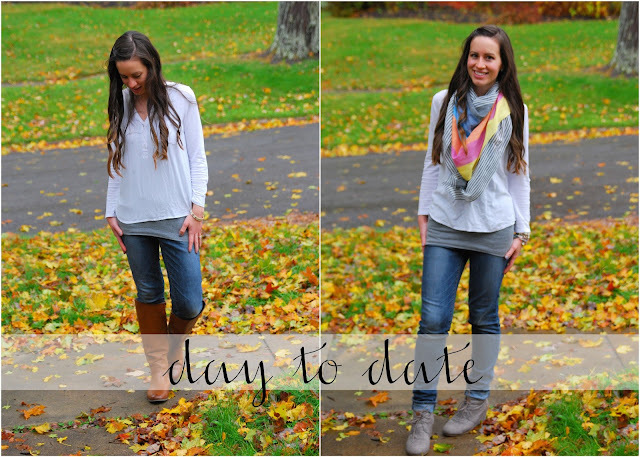 I usually gravitate towards jeans, a long tank top, and a simple long-sleeve shirt. Here, I chose a white blouse because it's so easy to match! My makeup is just a swipe of eyeliner and mascara, and a coat of pink lip gloss. As for jewelry, I'm wearing my go-to Kate Spade studs, a white bracelet, and my wedding rings to keep it simple around the house. 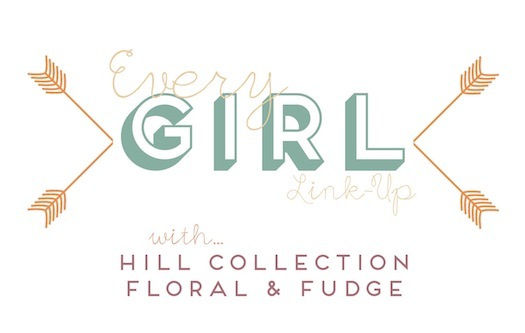 Also, for the future, we changed around a couple of Every Girl Link-Up dates! Come back tomorrow for Friday Favorites! This is really cute and I totally wear jeans and tees most all the time. I feel most me in them!! Those Toms booties are nice too. I love that scarf! The stripes and colors are perfect. I also love your pretty bracelets! Great look! I'm such a fan of outfits that can work for both day and night - much easier! I love how you kept it true with the no shaving time and grease stain cover up haha it happens all the time! Accessories can make such a big and pretty difference, Rachel. I am so glad I discovered your linkup and was even able to join you with this theme. Welcome by and check out my Daytime and Date Night Outfits and you can link up with me today, also.